The Department of Petroleum Resources (DPR) has vowed to shut down filling stations in Bayelsa State for selling Premium Motor Spirit (PMS) above N160 per liter. 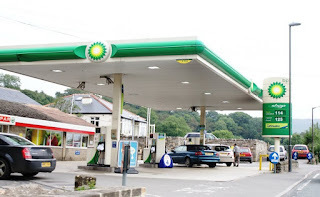 The department was disturbed that independent petroleum marketers in Yenagoa, the state capital, suddenly increased their pump price of fuel from the regulated price of N145 to N160 per liter. He asked them to immediately revert to the original price of N145 per littre, or be sanctioned insisting that they had no reason to increase the price of the product. He said: “I personally went round and discovered that all the filling stations were selling above the pump price. They were selling at the rate of N160 naira for PMS. We frown at that and condemn it. The sudden rise in pump price is not welcome by DPR. In his response, the Bayelsa state Chairman of the Independent Petroleum Marketers Association of Nigeria (IPMAN), Erefemota Peters, said the increase was caused by hike in depot price. He said after including transport cost, there was no way the marketers in the state could sell at the government price.